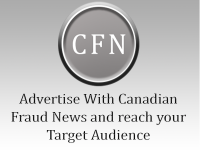 Naseem Jamil, the owner of a Hamilton auto repair business is facing fraud charges following an investigation into fraudulent insurance and vehicle safety certificates linked with the business. Hamilton police alleged the fraudulent documents were being issued from T & R Auto Service. On June 8 a warrant was executed at the 22 Barton St. E. business. Jamil, 55, is charged with three counts of fraud under $5,000, selling forged documents, possession of proceeds of crime and driving while disqualified. He was released on a promise to appear in court at a later date.